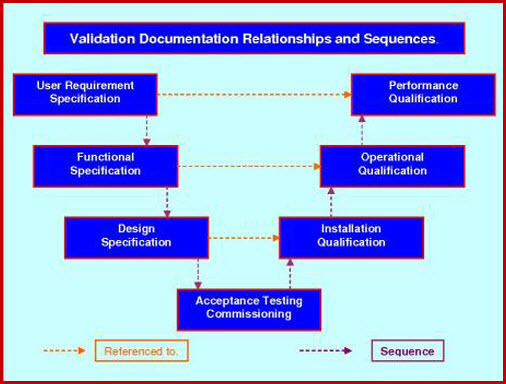 "A validation quality plan must define, detail and mandate means and methods by which an approved change control concept can be progressed through the regulatory qualification process and into cGMP compliant production"
The Validation Quality Plan (VQP) is probably the most important of all documents in a validation project. It is an essential document in giving assurance that the validation task can be successfully executed in an effective, timely and cost effective manner. Simply because this is the stage in the operation where all aspects of the validation are highlighted, debated, allotted and budgeted for. Once the full scope of the validation task is unearthed; then and then alone, can all these facets be catered for and sensible time lines and responsibilities deliberated. To this end there may be several VA in any major validation project. Each VP will cover identical or similar equipment where the validation responsibilities and scopes are identical or similar and can be adequately defined in one validation quality plan. 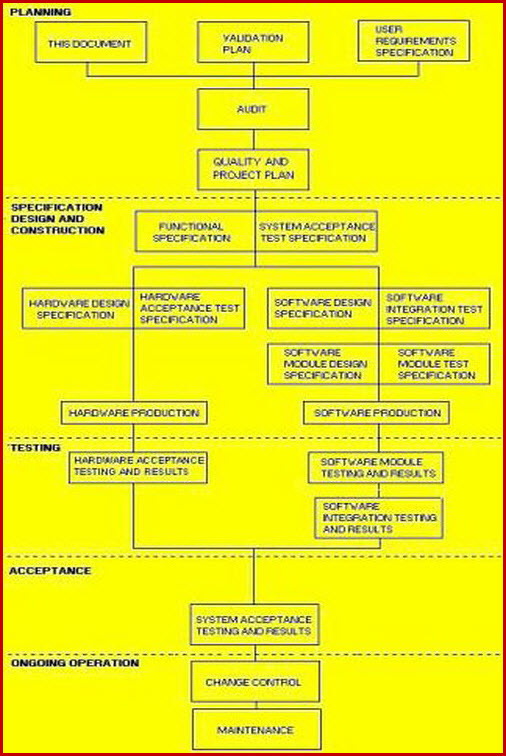 The top level of the User Requirements Specifications (URS) must be in place to enable the author(s) of the VP to start assessing; not only the basic user level requirements but the attendant needs that the user level requirements make requisite, such as; staff levels, user training, maintenance training, utility and facility loadings. Along with these requirements will come a multitude of other minor and major issues that only ever become obvious after such extended and invasive studies are completed. Only when these requirements are fully reviewed and documented, can they be accurately quantified. However once they are defined, then the VP can start to allocate and document individual staff responsibilities and individual and collective achievable time lines. Now the stage has arrived where a defined, detailed and workable validation quality plan can be documented, reviewed, and subject to reviewed comments being incorporated; issued by management as the official Validation Quality plan of action. The VP is the document that the company must use to authorize actual validation methodologies, scopes and associated individual responsibilities (by job title). It therefore has to work hand in hand with the Validation Risk assessment (VRA). The VA must list all the equipment that it applies to and the VRA must be executed against each of the items in this list. On completion of each execution the appropriate scope of validation will be indicated by the VRA. This scope must be entered into the appropriate section of the VP, before it becomes an approved and locked controlled document. The VP will therefore list the scope of validation applicable to each listed item along with any individual specific methodologies that should be used. The Validation Master Plan (VMP) is the single most important document because it describes the basic concept for your overall site validation program. This interactive detailed document is a delight and simple to use. The generic template and attached SOP lead you through the whole process quickly and seamlessly. This thirty page document is suitable for all types of pharmaceutical /bio-technical / medical device / API, manufacturer and or processor. The VMP addresses process validation, facility validation, utility validation, equipment qualification and cleaning validation. The objective is to define responsibilities, outline your methods involved in the qualification and validation of your facility, define the areas and systems to be qualified and validated and to provide a program for achieving and maintaining a validated status. The VP Role In The Validation Process.